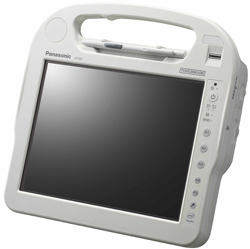 The Panasonic Toughbook CF-H2 is a unique Healthcare Tablet PC. Unique in its ability to transform the way mobile professionals work – wherever and whenever that might be. Panasonic today launched the Toughbook CF-H2, its second generation, fully rugged tablet PC designed specifically for health workers. 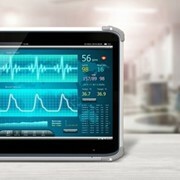 Setting new standards in ease of use, connectivity and productivity, the Panasonic Toughbook CF-H2 is a lightweight, water-resistant, shock and drop-tolerant and easily disinfected tablet device that meets the highest demands for mobility and networking within clinical environments. 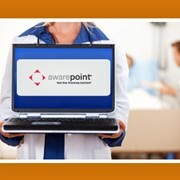 It allows doctors and nursing staff to benefit from instant access to medical records at the point of care, accurate documentation on patient conditions and medication, and enables greater efficiency of clinical processes. With the latest Intel Core i5-2557M (1.7GHz) Ultra Low Voltage processor with vPro and the Intel HD 3000 graphics for enhanced multimedia capabilities, the Toughbook CF-H2 performance has been improved more than 400% over its CF-H1 predecessor. The CF-H2 is ideal for power hungry healthcare applications such as Electronic Patient Records (EPR) and Patient Administration Systems (PAS). RAM has also been raised to 2 gigabyte as standard, with up to 6 gigabyte optional, and it comes with a 160 gigabyte hard disk drive as standard with 128 gigabyte SSD as an option. 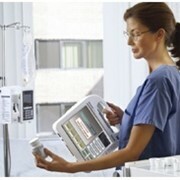 Working closely with existing customers within the healthcare market, Panasonic has created a 2nd generation device that is the ultimate tool for medical staff. The Panasonic CF-H2 has also been designed for easy disinfection, reducing the risk of infections being spread from patient to patient. 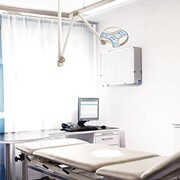 Maintaining its fanless design, limiting the opportunity for germs to be transported by the device, the Toughbook CF H2 Health model features a smooth surface with sealed buttons and no exposed ports. 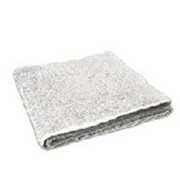 Panasonic has also developed a special exterior case material, which can withstand frequent alcohol wipes. To further aid in disinfection, a Panasonic-designed software utility can be programmed to remind users to wipe the unit down at defined intervals and automatically records a successful cleaning for the hospital's permanent records. The Toughbook CFH2 remains the toughest rugged tablet in its range. 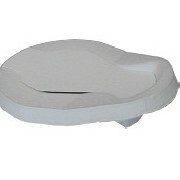 It is drop tested to 90cm and has water, dust, vibration and temperature protection. 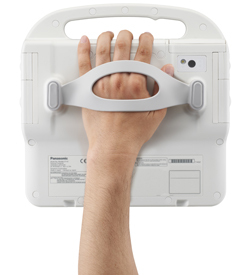 The Panasonic CF-H2 is designed for clinicians who need to multi-task whilst holding the device in one hand. Lightweight rugged design (approx. 1.58kg), with an easy-to-grab handle, the fanless device maintains a low surface temperature using its unique heat dissipation system and is available as a dual touch (digitizer and touchscreen) and touchscreen model. The Toughbook CF H2 always ensures the screen delivers just the right level of brightness for optimum viewing whatever the conditions, inside or out. To achieve premium visibility the CF-H2 uses a 10.1" display with Panasonic Transflective Plus technology. This operating mode helps to reduce power consumption and enhance battery life as no backlight is required in bright environments. This results in a massive enhancement of up to 6,000 unit equivalent of transflective brightness under a 200K lx environment. 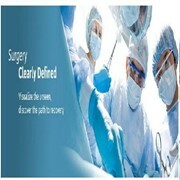 For maximum productivity around the hospital, medical staff need to perform a wide range of tasks. The CF-H2 is ideally suited. Optional Barcode readers are available to assist with data capture requirements. For taking photos, the Toughbook CFH2 Health features an optional auto focus, 2.0 megapixel camera with one LED light. For Using Audio Applications whilst working, the CF-H2 features a front speaker to enhance audio capability. 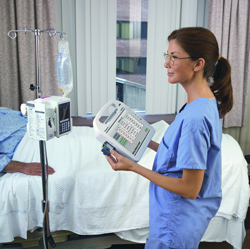 Healthcare workers often need interfaces to connect devices and peripherals for data capture and communication purposes. The CF-H2 is perfectly positioned to fulfill this requirement with a USB 2.0, LAN and serial port (optional 2nd USB 2.0 port in lieu of LAN port) available directly integrated within the device. The CF-H2 also has all the options covered to ensure medical data is secure. Quick user authentication can be achieved using the optional fingerprint reader enhanced security. There is an optional contactless smartcard reader, which is compliant with ISO 14443 type A and type B, or an integrated, contact smartcard reader covered and sealed with it own latch for maximum protection and security. Ensuring medical workers can always stay in touch when on the move, the Toughbook CF-H2 offers WLAN, 3G (optional), Bluetooth and GPS (optional) for navigation and job scheduling. To improve data transfer capability, the Ericsson F5521gw HSPA+ module with wireless ready connection manager can be integrated as an option, significantly increasing download speeds up to 21Mbps. Available upon request, the device can also be switched into Anti-Theft-Protection mode by utilizing the latest Intel ATP technology. 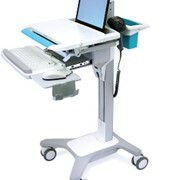 To ensure that medical workers have a device that can work for as long as they do, even when access to power is lost, the CF-H2 can operate for up to 6.5 hours (MobileMarkTM 2007, 60nit) running on Windows 7 by using the hot swappable, high-capacity twin-batteries developed internally by the Panasonic battery division. The CF-H2 charges its 2 batteries at the same time, in a rapid parallel mode, for quicker charge times (approx 3 hours). All units also use the Panasonic Power Management Utilities technology to maximize power efficiency by managing the power of all relevant resources required by the CPU depending on each task or by definition of individual user profiles. To maximise the efficiency of health workers, the Panasonic CF-H2 also includes Panasonic's Quick Boot Manager which can reduce the boot-up time of the device down to approximately 15 seconds. "This next generation Toughbook CF-H2 for the health sector is the ultimate rugged medical tablet," said Stephen Yeo, Panasonic Toughbook European Marketing Director. 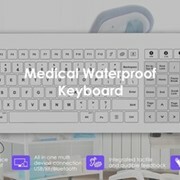 "Listening closely to our existing customers, we have built a second generation device that is more powerful, easier to use and with more functionality than any comparable device on the market whilst maintaining all the essential health features required from clinicians in a busy medical environment." To ensure existing customers can continue to use existing peripheral equipment, the new CF-H2 is compatible with many of the CF-H1 peripherals such as docking stations in order to provide long-term product lifecycle stability.